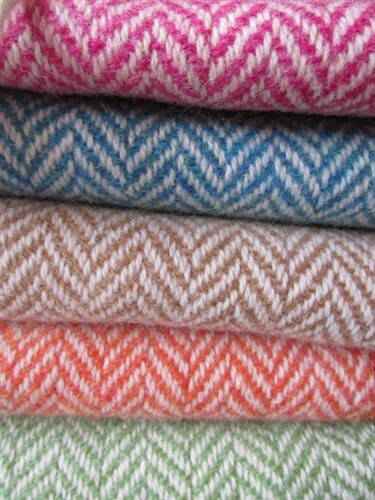 A while back we paid a much anticipated visit to the Studio Donegal Tweed Mill in Kilcar, County Donegal. 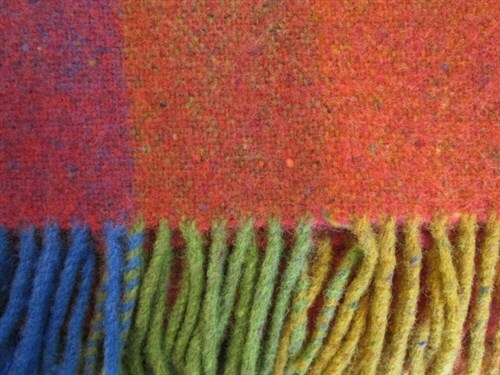 I’ve been looking forward to visiting for a long time to see for myself the process of crafting the tweed blankets, cushions and scarves we sell. 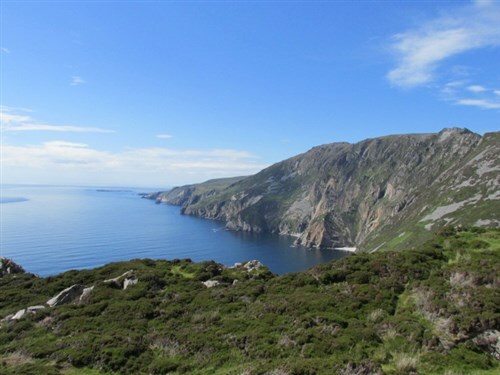 The village of Kilcar is in Donegal’s Irish speaking area known as the Gaeltacht and set within the spectacular scenery of the dramatic Donegal coastline. This scenery provides endless inspiration for the designers at Studio Donegal. We arrived a little early and they were just finishing off one of the throws in our order. This is the actual throw we would be taking home with us! 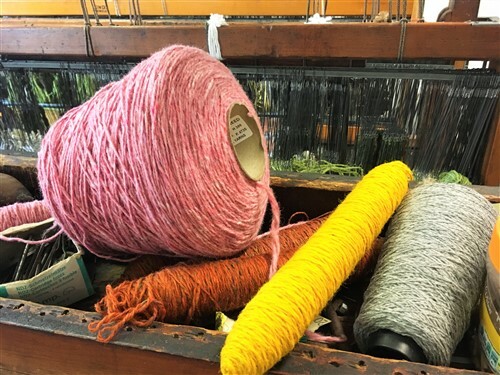 While we waited, we had a chance for a behind the scenes look at the process of making Donegal Tweed products. 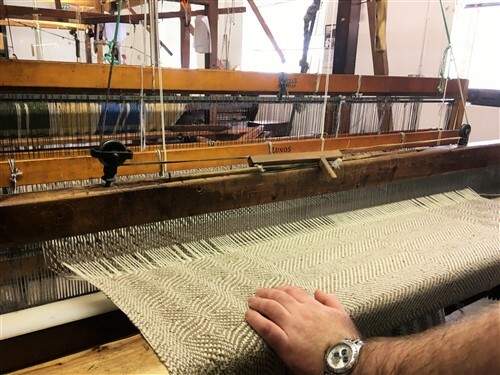 We met weaver, Kevin McGillicuddy, who kindly interrupted his work to give us a demonstration of the weaving process. His loom is driven by four foot pedals and requires the use of both hands in complete co-ordination with his feet. The looms when operated, are loud, yet not unpleasant with a rhythmical clicking, tapping and whirring. 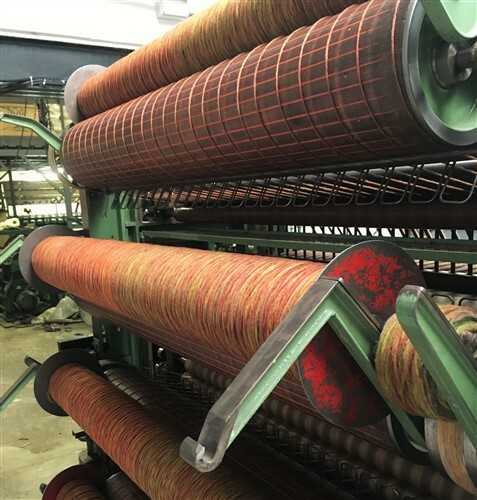 There is something reassuring about listening to a machine that has been operated for over a hundred years and continues to produce countless miles of fabric. 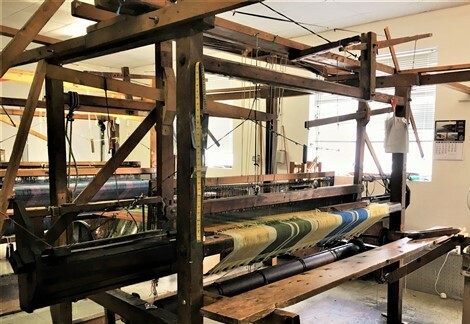 The looms are very large and very old. The warp is the vertical thread. 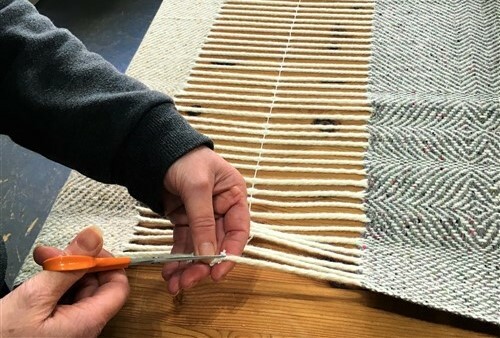 The weft is the horizontal thread. 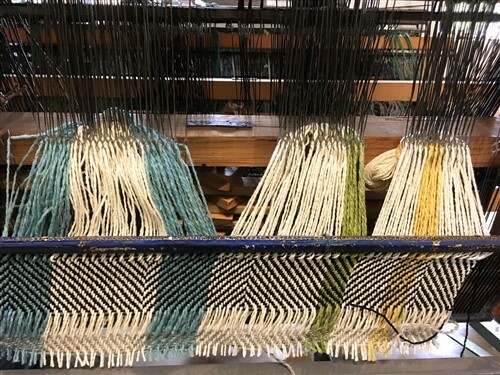 The weft is woven through the warp to produce a piece of fabric (I don’t know how many times I had to check which was which). 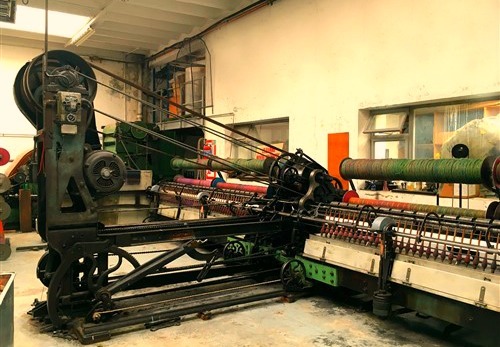 The carding machine prepares the wool for spinning. This magnificent looking contraption is called a mule. It spins the yarn into thread. The yarn ends up looking like this. 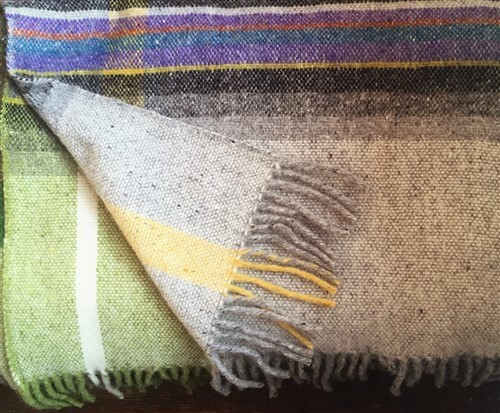 Everything at Studio Donegal is manual and time-honoured. Kevin explained to us that the skill of weaving tends to run in families, indeed, he himself followed his uncle into the trade. The feel of the tweed is so soft and luxurious and I love the way muted and vibrant colours are blended in keeping with the tone of the Donegal landscape. 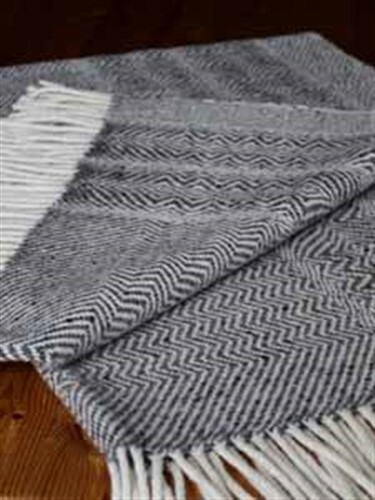 My current favourite is the ‘Stormy Donegal Days’ throw with its fusion of colours so characteristic of a Donegal storm. The ever-changing sky, fading from charcoal to grey, occasionally illuminated with flashes of fork lightening. The deep hues of the squally sea, topped with white foam, and the emerald green grass, newly washed by torrential rain, bringing crystal clarity to the landscape when calm is restored. 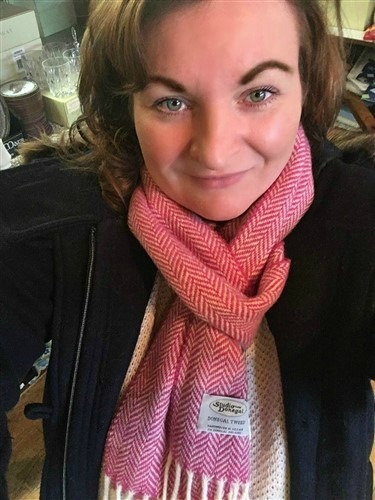 This candy pink herringbone scarf just makes me happy. It really brightens up the dullest of days. 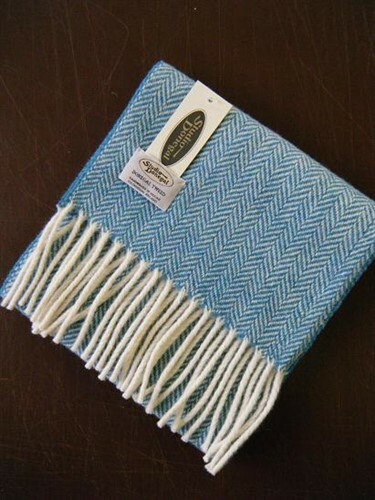 So you see, at Gilmartin’s Craft Shop, we always favour handmade. We favour the products which tell a story about the cultural, historic and natural environment from which they are produced. Those have a meaning and value which cannot be found in products churned out of huge factories. Most importantly, they make people smile – the colour blends and the softness of the fabric just gives you that snuggly warm feeling. And you can’t beat that!